Want to get the most out of your HVAC system? Like any other machine, you need to look after it with regular and proper maintenance. Without this, your AC unit and furnace loses about five percent of its original efficiency per year of operation. That adds up to more money and more issues for you! Fortunately, we offer the Kelly Discount Rewards Club to help ensure that your HVAC systems are running properly. Click below to learn more! Kelley Brothers LC continues to provide Livonia, MI and surrounding areas with a trusted source for a full range of residential and commercial HVAC and electrical services. Over the years, we’ve built a solid reputation for affordable pricing and exemplary job performance. Give us a call at (734) 462-6266 or fill out a convenient contact form, and find out why we’re recommended by your friends and neighbors. We answer with prompt action, organized job sites, and uniformed, factory authorized technicians. Kelley Brothers LC handles everything from furnaces, boilers, heat pumps, central cooling, and ductless HVAC to air quality accessories, WiFi thermostats, and standby generators for both existing structures and new construction. As an Amana Factory Authorized Dealer, and Generac Premier Dealer, we specialize in industry-leading products and sustainable, cost-effective solutions. For all your HVAC repairs, maintenance, and installations, trust in Kelley Brothers LC! Consider enrollment in the Kelley Discount Rewards Club, and let us keep your essential equipment running at its best. Kelley Brothers LC is always available to help, offering 24/7 Emergency Assistance. We’re the trusted HVAC contractor throughout Plymouth, Westland, Livonia, Northville, Garden City, and Farmington, MI. Down to earth honest people. The techs were very courteous, attentive to our particular needs and very knowledgeable. They installed the unit on Tuesday. Same week on Sunday the power went out for over 1 day. The generator runs like a dream. Would highly recommend. I recently had trouble with my generator and their was issue whether the part was covered by my warranty. After the staff reviewed my warranty not only did they cover the part and labor, but because of the confusion concerning my warranty, they extended my warranty for another 5 years (until 2024) with no out of pocket costs to me. I highly recommend Kelley Brothers. I have been a customer for over 15 years, and have never had an issue with them. Kelley Brothers installed a 20 KW Generac Generator at my house. All stages of their service were excellent from the quoting process through the installation and scheduled follow-up maintenance. The installation crew and master electrician were courteous and knowledgeable. 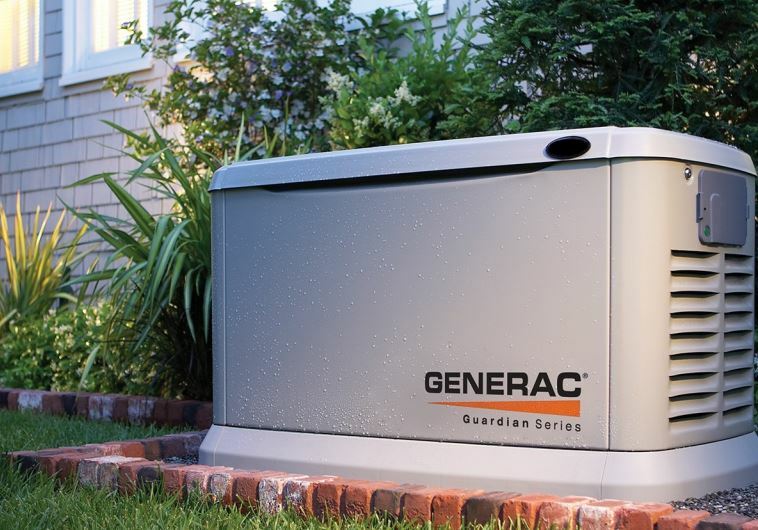 The generator was installed on the date promised with no issues. The generator looks and more importantly works great! I have recommended Kelly Brothers to friends. Kelley Brothers installed my whole house natural gas powered generator in October of 2012. They were all wonderfully polite, very informative, very cautious and clean while entering my home during the installation (it was raining at the time…they kept right on working! ), and basically just felt like family, believe it or not. I would NOT hesitate to recommend Kelley Brothers for any and all work. Steve also checked out my furnace and heat exchanger, showing me how it was in great shape, considering the 25 year age. Not only would I recommend them, but I personally will be asking for their help again in the future as various needs arise, due to their honesty, integrity, and knowledge. Thank you very much, Kelley Brothers!